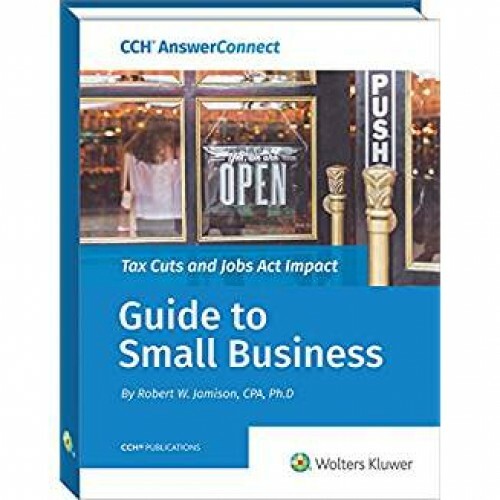 Guide to Small Business will address concerns and provide in-depth details on the provisions, implications and benefits small businesses may witness as a result of the new Act. Lower individual tax rates, expansion of the IRS Code Sec. 179 deduction, the new 20% deduction on qualified business income (QBI) for certain pass-through entities and the reduced corporate income tax rate are just a few of the big and somewhat complex changes that will be in effect. 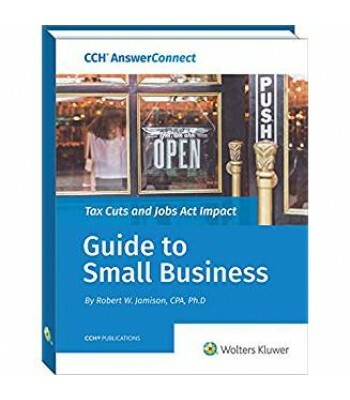 It s highly recommended that you prepare now to mitigate risks and ensure that your small business clients have a complete understanding of how the Tax Cuts and Jobs Act will significantly impact the way they do business. This book covers: The revised tax rate structure for corporations and pass-through entities Section 179 and Section 199 deductions New limitation on the deduction of business interest expenses Employer tax credit for paid family and medical leave Deductibility of entertainment expenses, fringe benefits, on-site eating facilities and more.